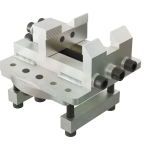 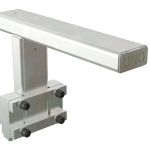 The UnoLiner B10-55 Bench Adapter has been specifically developed for vehicles with larger track and chassis widths. 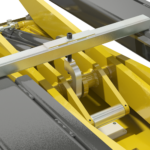 The B10-55 has the same height as the standard B10 Bench Adapter and its chassis clamp arms have been elongated without sacrificing strength. 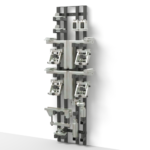 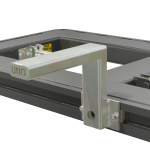 The B10-55 is suitable for all UnoLiner chassis clamps and straightening benches. 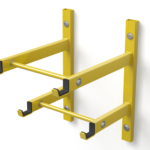 Its patented "Quick Lock" one-bolt locking system makes attaching the B10-55 easy and safe. 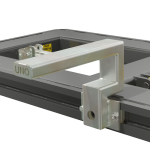 The B10-55 ensures fast and secure mounting and anchoring of UnoLiner chassis clamps on all UnoLiner straightening benches. 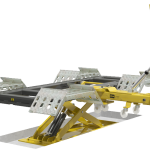 Because of its special design, it is perfectly suited for both normal and wider vehicles.